Steve Angello will be launching new label X at the end of this month, providing another outlet for some of the styles of music that inspire him. 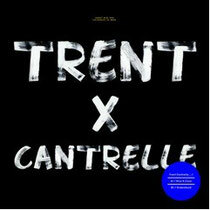 The label will start off with a new two-track EP from dance music veteran Trent Cantrelle entitled ‘Nice & Close’. New Orleans-born, LA-based DJ/producer Trent Cantrelle who, in a career that stretches back to the early-90s, has proven his credentials time and time again. With a slew of club hits and remixes under hhis belt, he now steps up to X with the ‘Nice & Close’ EP. Built around a hypnotic, rolling groove, the track journeys deep into the night with its collage of vocal samples and warped FX breaking down into rave-inflected chords and soaring vocals before emerging again with a renewed energy. On second track ‘Understand’, percussive layers shift around the central syncopated rhythm over a pulsing bassline. The label will be asserting its position with a new release schedule in place stretching throughout 2013 and beyond. X will focus on the deeper and techier side of the Size family’s sound. Steve Angello: "X, it's a new era and it's the ten years of SIZE. X has been something I've had in my head for a very long time. Creativity it gives freedom, fuel and new life"